The two-year-old toddler Julen Jiménez fell ten days ago while playing in a deep well in the Spanish city of Totalán. A major rescue operation has been set up to raise it. This is what we know about the boy. The boy was playing with nephews and nieces on the territory of a relative on January 13 when he fell into an old borehole. His parents told Spanish media that they still heard their son cry after the fall. They could not get him out of the hole. 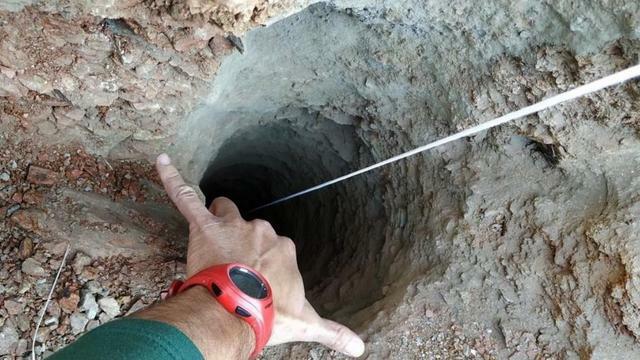 Not only is the toddler probably up to about 110 meters below the ground, the borehole is only 25 centimeters wide. An adult person can not do that. This did not apply to the small two-year-old toddler, who weighs not much more than 10 kilos. The emergency services came directly on the spot and tried with a kind of large 'spoon' removing the ground loosened by the fall in the well, so El País sketched. This turned out to be fruitless. In the days that followed, some aid workers doubted more and more whether the boy had really fallen into the pit. Some media note that it is almost impossible that the child could fall into a 25 centimeter hole. This doubt was removed by the Spanish authorities on 16 January, three days after the fall. In the pit hairs are found and a DNA test shows that these are indeed from the toddler. Experts who were also involved in the rescue of the more than 30 miners who were stuck in Chile for nearly 70 days in 2010 were called in to help. Emergency services said they hope to reach the child within a day or possibly two days. This ultimately proved to be too noble a goal. It soon became apparent that the emergency services could not reach the boy via the pit, partly because the earth had come loose as a result of the fall. A camera could not reach the child either. The emergency services decided to dig tunnels on both sides of the pit. Rescue workers dug down tens of meters to make a horizontal walk towards the location where the toddler should be. Here too a lot went wrong. For example, the team of rescue workers had to deal with landslides that delayed their work a week after the fall. It also appeared that the dug vertical corridor at a depth of about 40 meters was not wide enough. Where the authorities first made estimates of when the boy would be saved, more than nine days after the fall of the toddler is kept quiet. The toddler will be lifted up in a kind of metal cabin if he is reached by the aid workers who will take the last meters to him. The last meters are slow, as is outlined. This is due, among other things, to the fact that the relief workers continue to encounter large rocks. According to El Periódico , the diggers have to cut away the earth in teams of two on their knees. It is not known whether the boy is still alive. There is no sign of life after the fall and howling the parents say they have heard. Justice in Spain started an exploratory investigation into the borehole, which was made to see if there was water in the ground. Among other things, it is investigated whether the well was covered, as the man who is responsible for drilling has explained. It is also being investigated whether it was allowed to drill in the area at all.